Styled with darling sweater and chandelle jacket . 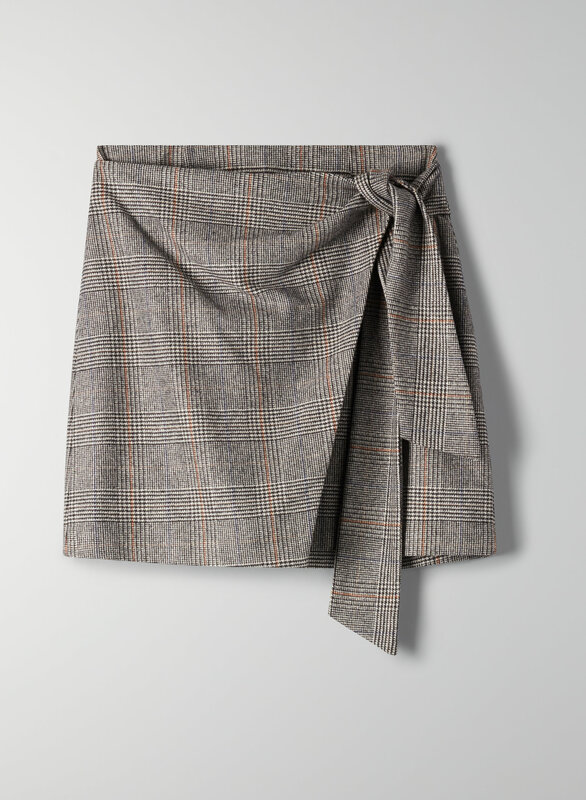 This mini skirt is made from an Italian flannel that blends wool and cashmere with a hint of stretch. A faux wrap front you can tie yourself lets you play with the fit. This is my new favourite skirt by far. It is flattering and warm. You can tie it into an one-ear bow or leave it untied. I love it! It has no give around the waist though so size up. Great quality material and fit. Love the detailed bow on the side and the print. 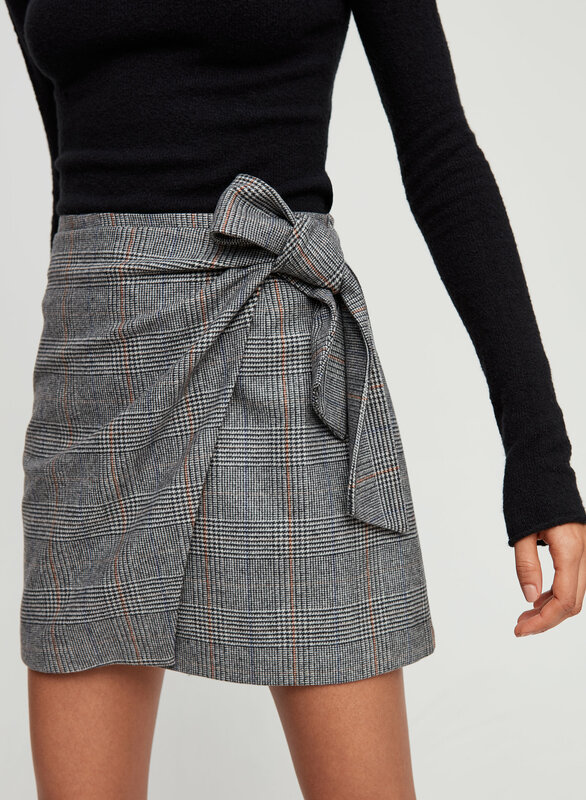 Perfect classic skirt with a twist. Love the look and the quality of the skirt. It fits perfectly. I am 5’3”, 130 pounds, and got this in a size 6. I am normally a size 4 but after trying the skirt on in store, I decided a 6 would be better. It’s a little big around the bum, but the length and waist size is perfect. Beautiful colour and fabric. Very high quality wool, and the satin lining underneath prevents any uncomfortable chafing. The tie, as well as the slight a-line shape, accentuate your waist. It gives you an hourglass shape, even if you don’t have one. Depending on your waist/hip size I suggest sizing up if you have bigger hips or waist, and staying true to size if you have a much tinier waist in comparison to youf hips. 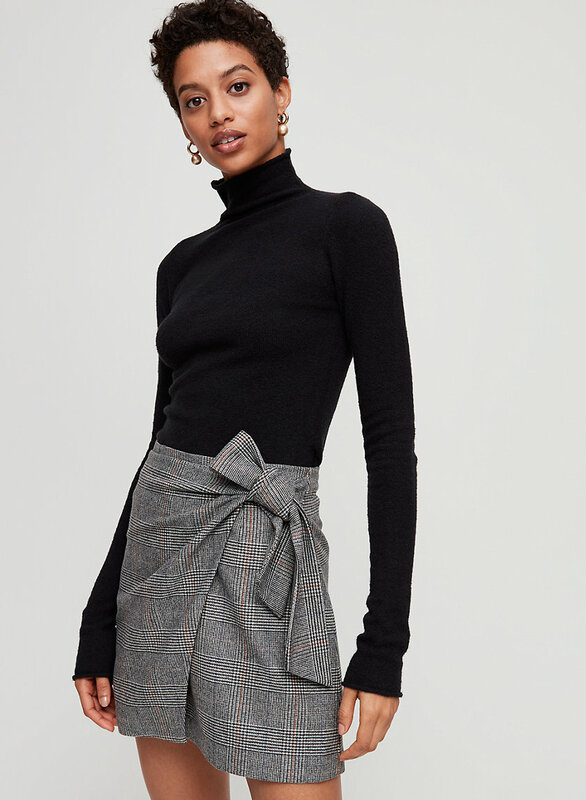 I love this skirt and I wish they had my size in some other colours. It goes with almost every blouse/shirt in my wardrobe :) The fit is comfortable and I love the bow tie detail. You can wear it to work or on a casual day out with your friends. The 00 fits like a glove on me, and isn’t too long or short - the perfect length (for reference, I am 5’3). It’s elegant and very flattering. 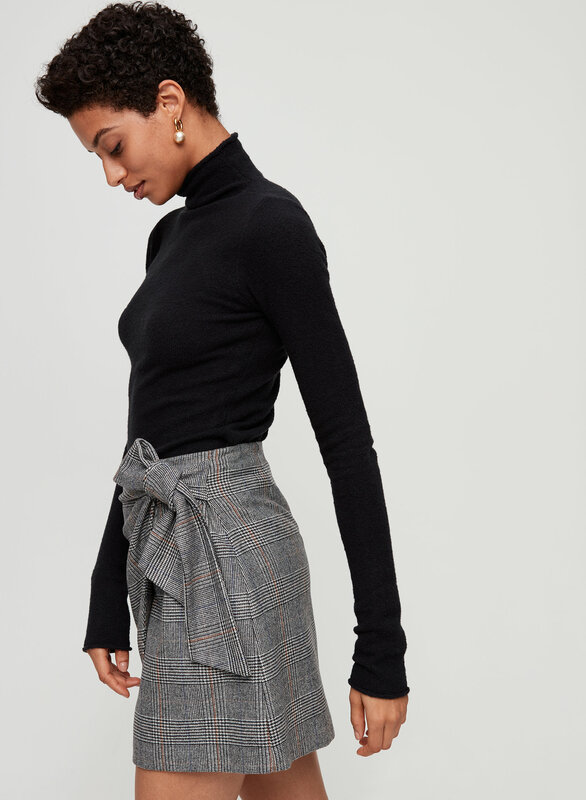 To top it off, the wrap front & side tie add a cute twist to a staple wardrobe piece! The adoring skirt fits true to size and is even cuter in person! It’s versitile and can be dressed up or down. 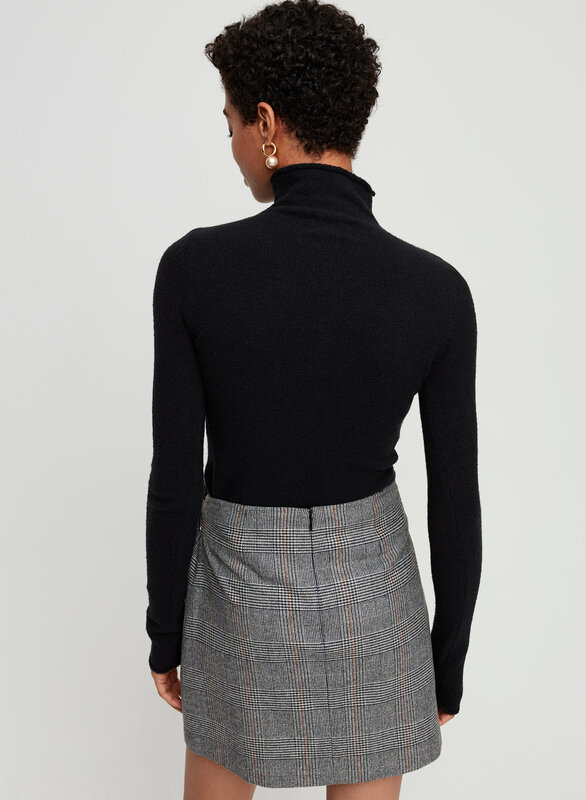 The style/look of the skirt is on point, only down side the LENGTH. I had to size up since I thought it was a tad too short in my actual size. No other complaints! High quality, comfortable skirt. More dull in person than on website, but still looks fine. Arrived in bad condition - the skirt was incredibly wrinkled all over and had to steam multiple times to get wrinkles out before wearing for the first time.